Have you ever experienced that your Android is not performing as it was when you bought it brand new! 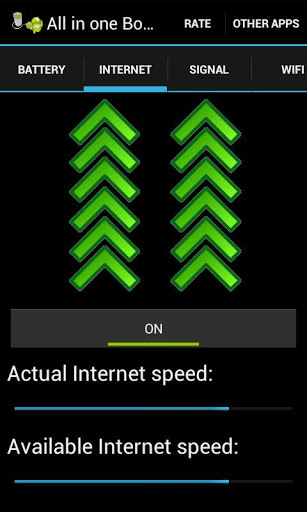 We all experience this with any phone we buy, with time and age the efficiency of the phone decreases. 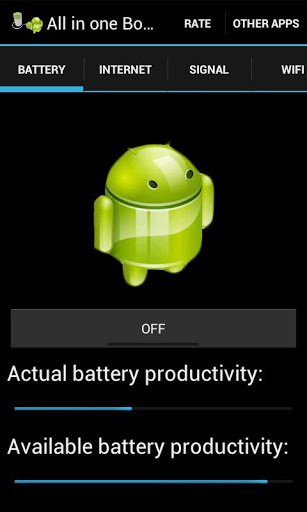 Take an example as battery, phone speed, etc you feel your phone is turning old day by day. So there is a way you can still boost up your phone with an App called "All In One Booster Pro". There is nothing you require much thing to do. 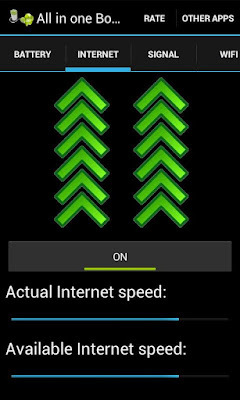 Just install this app for free available in the play store and make your phone energized. 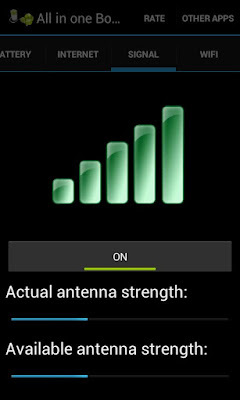 It focuses in some major areas of your Android phone- Battery, Internet, Signal, WiFi ! We all know these are the certain things which slowly stop giving performance. 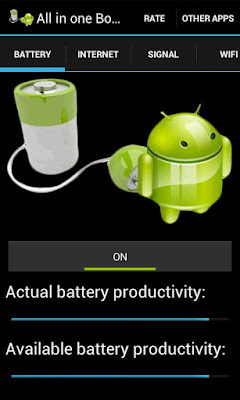 So if your battery is not giving backup as it was earlier this is the App you need to download. 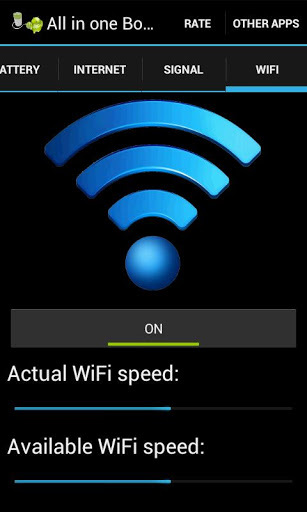 It's not only about the battery, other area like download speed, Wi-Fi speed and network connection is also improved. Kufie the App developer has done a very good job. Not only this app has got 5 star rating but also it has thousands of downloads. Personally i tried this app on my Samsung Galaxy Note 2 and used it for few days until i came here jotting down the review. Surprisingly i found this app has certainly improved my phone battery and WiFi to better extent. You can also see this change in performance yourself as it shows you the actual vs available part. So you can test it yourself for days and if it suits your phone you can go ahead with this app. Just 1.7 Mb app, free of cost and requires Android version 2.1 and above. Source: All In One Booster PRO for Android on Play Store.